Emiliano Sala, 28, the Argentina-born football forward, was en route on January 21 from Nantes in western France with his pilot on the single-engine Piper Malibu aircraft to make his debut for the Welsh team Cardiff City when the plane disappeared over the English Channel. On January 24, Guernsey island police said that a search operation had been concluded, as Sala and Ibbotson had a very low chance of survival. The Argentinian striker and the pilot are reportedly believed to have died after crashing into the waters of the channel. However, according to The Guardian, a private search boat located the wreckage on the seabed of the English Channel on Sunday morning. A privately-funded search north of Guernsey began Sunday led by marine scientist David Mearns on behalf of the Sala family, the UK-based media outlet said. — Sandra Clivati (@sandraclivati) 3 февраля 2019 г. Speaking to Sky News, Mearns said Sunday that "this is about the best result we could have hoped for the families. But tonight they have heard devastating news and in respect of the families I won’t comment any further about what has happened". Cardiff City boss Neil Warnock said that missing striker Sala would have been proud of his team following their 2-0 Premier League win over Bournemouth this week, Reuters reported. During this game, Cardiff players held up a T-shirt bearing the image of the missing Sala, who never played a game for the club. A referee stopped the game in the Ligue 1 match against St Etienne at La Beaujoire in the ninth minute, in a reference to Sala's shirt number 9, for a minute of applause during which Nantes head coach Vahid Halilhodzic was pictured in tears. 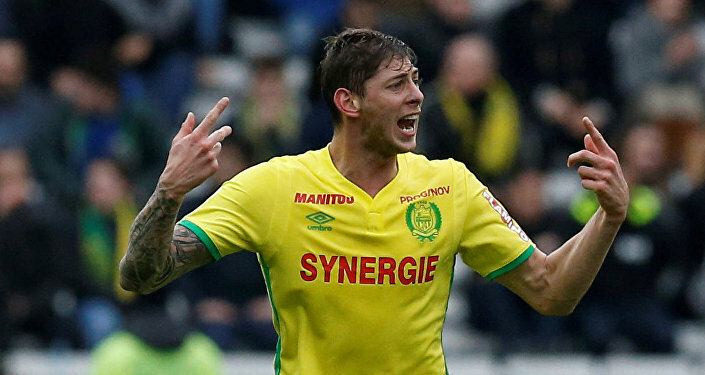 A football match in France was stopped for a minute last night as rival players and fans united to applaud for Emiliano Sala. — Channel 5 News (@5_News) 31 января 2019 г. 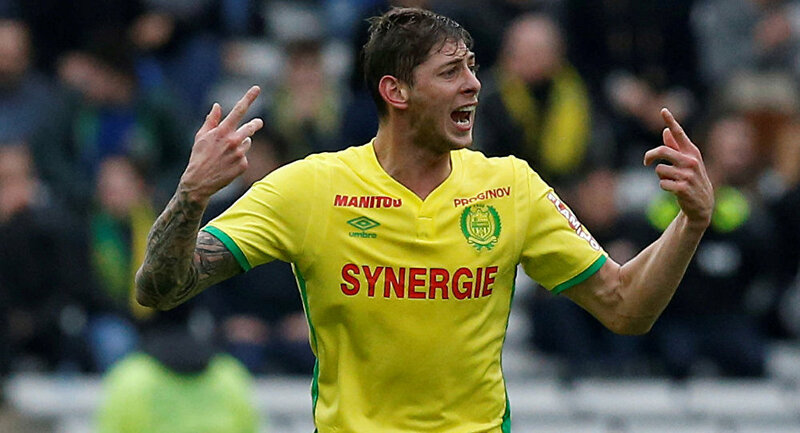 According to media reports, fans unveiled on Wednesday banners for Sala, most notably a giant Argentinian flag, and all of Nantes' players had Sala's name on the backs of their jerseys.